Zambia’s President Edgar Lungu calls nation to repentance and prayer in contrast to the President of South-Africa. I am of opinion that the ANC has never been further away from God as currently. 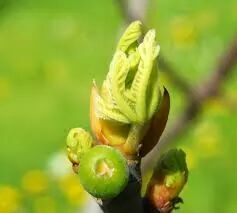 They have fallen for the world big time and have moved away from God to an alarming extent. No wonder they will sit with Hamas who openly hate Israel and God. Zambia’s President Edgar Lungu addressing scores of citizens who gathered at the Lusaka Showgrounds at a National Day of Repentance, Reconciliation, Prayer and Fasting event on October 18, 2015 — as captured by ZNBC. He also declared October 18 to be a new National Day of Prayer public holiday. Compare the speech above with President Jacob Zuma of South-Africa’s point of departure. President Jacob Zuma wass at the centre of a religious storm in South Africa after reportedly blaming the introduction Christianity in the 19th century for the continent’s problems in 2011. President Zuma, who in 2007 was ordained as an honorary pastor at a meeting of independent charismatic churches in Durban, told the crowd that South Africans should return to the “old way of doing things” because modernity had been harmful to society. President Zuma’s apparent criticism of Christianity is in marked contrast to the ANC’s long history of using religious terminology to promote itself. The book details the creation and functioning of a “shadow mafia state” created by and surrounding President Zuma. It makes a number of serious allegations concerning the South African president such as that he did not pay taxes during his presidency, that he was illegally paid R1 million (US$70,000) a month by a private company whilst president, that he failed to pay back loans and that he has poor financial acumen. 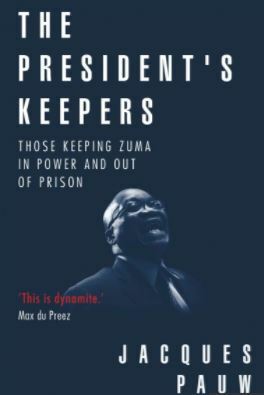 The book also makes a number of accusations concerning associates of the president, such as: that the Gupta family groomed the children of African National Congress (ANC) politicians to gain political influence; that Nkosazana Dlamini-Zuma’s 2017 campaign for ANC president is funded by a cigarette company engaged in corruption; and that a significant proportion of people appointed to power by the Zuma administration have been convicted, or have allegations against them, of engaging in criminal activity. It also contains details of the state capture of the South African Revenue Service (SARS) and the wasteful creation of a one billion rand (around US$ 70,000,000) spy agency within the State Security Agency that engaged in widespread corruption. 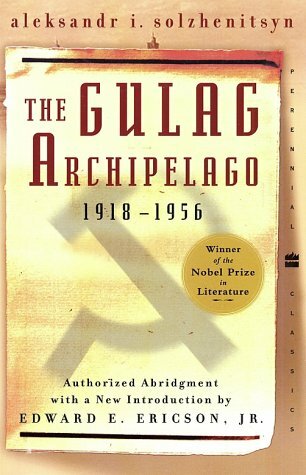 The Gulag Archipelago is Solzhenitsyn’s masterwork, a vast canvas of camps, prisons, transit centres and secret police, of informers and spies and interrogators and also of heroism, a Stalinist anti-world at the heart of the Soviet Union where the key to survival lay not in hope but in despair. The work is based on the testimony of some two hundred survivors, and on the recollection of Solzhenitsyn’s own eleven years in labour camps and exile. It is both a thoroughly researched document and a feat of literary and imaginative power. This edition has been abridged into one volume at the author’s wish and with his full co-operation. Die gestoei na die onverantwoordelike AS besluit begin!